This Thanksgiving day Americans will sit down with their families and enjoy some delicious turkey. When there is undoubtedly awkward silence after someone brings up the election, you’ll likely need to quickly pivot the conversation. What better time, then, to lighten the mood and educate your fellow family members about the hypocrisy of the eco-extremist movement! 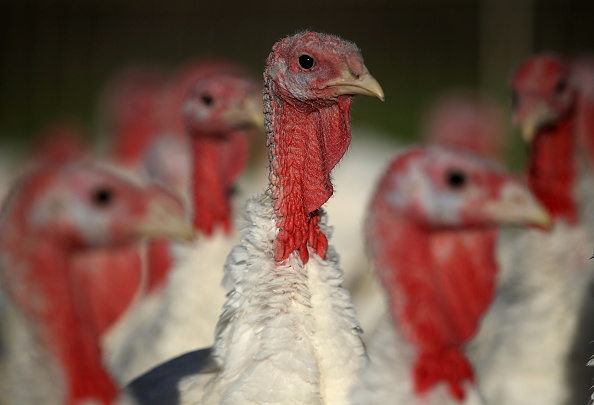 Power the Future is happy to encourage harmony in your home this holiday, and with that, here are the top-five “eco-turkeys” that still don’t get it. Thought he was a movie star? You’re right, but he’s also a glaring example of an eco-turkey who fails to live the life he preaches. DiCaprio has reportedly donated $20 million to combat climate change. At the same time, the actor has become well-known for lounging in the South of France on “mega yachts” that burn hundreds of thousands of dollars in fuel. Hypocrisy alert! No eco-turkey list would be complete without our former Vice-President turned environmental activist – but now there’s a new reason to think that “Gore” might as well translate to “environmental hypocrite” in the dictionary. We already know that Gore preaches environmentalism while traveling on gas-guzzling private jets. But did you know his own home uses more electricity in one year than the average American family uses in 21 years? Gobble gobble! Have you ever had to dodge those environmental activists on street corners with clip boards asking for your personal information? Then you may have heard of Greenpeace, an Amsterdam-based environmental group so committed to environmentalism…that they vandalized a UNESCO World Heritage Site? Yes, 20 members of this “environmental” group actually vandalized and spray-painted over the ancient Nazca Lines in Peru in 2014. Classy. New York Mayor Bill de Blasio is another politician that just can’t walk the walk. De Blasio recently attacked President Trump over climate change and declared that “climate change is a dagger aimed at the heart of New York City.” You might then wonder why de Blasio thinks it’s okay to drive 12 miles a day from his home to a gym on the other side of the city with an entourage of gas-guzzling SUVs. That’s a lot of carbon burned…because he can’t find a closer gym in New York City? Everyone has the right to peacefully protest, but environmentalists in Louisiana last month took it too far and betrayed their own principles in the process. Eco-extremists protesting the Bayou Bridge pipeline were caught leaving copious amounts of litter and trash behind, threatening the very marshland they were supposedly trying to protect. For those Thanksgiving guests still not in-the-know, Miriam-Webster defines “turkeys” as foolish, failures and flops. Now you have more than enough to keep Thanksgiving interesting.